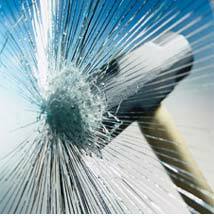 Flying glass from a broken window can cause serious injury. Safety film will hold the glass in place, in one piece, and prevent such injuries. Whether you are worried about your child’s safety at home or face the potential liability of injured employees or clients at your business, safety film can give you added peace of mind. In addition, thicker safety films can be used against burglary and theft in many storefronts. Designed to significantly slow down or even prevent intruders from gaining entry, we also offer the Frame/Lok, the latest technology in anti burglary systems. For more information on Frame/Lok, visit www.framelok.com.